A few days back, Apple announced iOS 9 as its next in the line operating system. iOS 9 brags major changes under the hood while some visual changes were also taken into consideration. The first 24 hours of the release constituted 12 percent of the total adoption rate, which was a little lower as compared to previous year’s iOS 8. So far there have been several tests and comparisons in terms of speed and other aspects of the operating system. 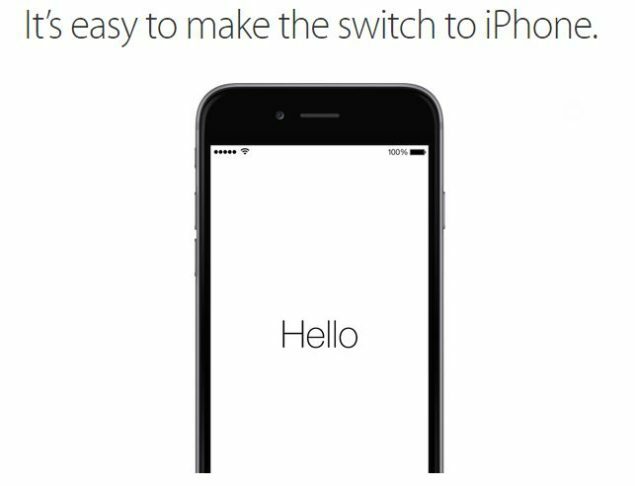 Alongside the iOS 9 update, Apple also said that it would launch its very first Android app, Move to iOS, which will aid Android users to make a clean switch to iOS. However, it may come as a shock, but it seems Move To iOS is not an Apple made application after all. Move To iOS is an incarnated third party app called ‘Copy My Data’, developed by Media Mushroom. 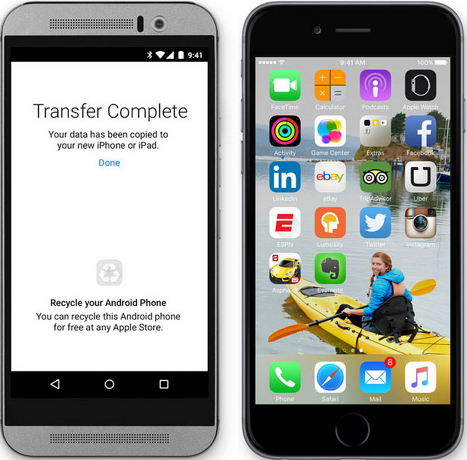 The notion was dropped by Phondroid who did some technical research and coined that the app was a rebadged version of the Copy My Data app. Let’s find out more about this so called Apple’s first Android app, Move To iOS. Move To iOS, Not An Apple Made App For Android? Initially, Apple has licensed an app that was already existing on the Google Play Store. With a set of codes designed to add its own UI assets as well as remove Media Mushroom related assets from the package, Apple rebranded the app as its own. According to Phondroid, the two applications generally share the same code and features. It seems that Apple only added their own artwork in the Move To iOS app. As crazy as we all were for the arrival of Move To iOS alongside iOS 9, Android users showered an innumerable amount of hate towards the app in the Google Play Store. The hate numbered up to 2700 users who ranked Move To iOS as a 1 star. Quite harsh, but it was suppose to happen since the rival stepped into one of the most visited place in Android. However, there have been reports on Apple’s purchase of Media Mushrooms, which means they could have made a licensing agreement with the company. If this is not the case, then it could be that Apple has yet to step into the Android Store. Most probably, if Move To iOS is not made by Apple then Apple Music will be its debut in the Android market. This is it for now, folks. What do you guys think about this scenario? Is Move to iOS really a third party app made by Media Mushrooms? Share your thoughts in the comments.